A new digital assistant for machining brings voice control to various CNC types and voice-actuated access to machine-tool-related information. Given its promise to free shop floor personnel to work more effectively, one machine tool builder sees it as a potentially game-changing development. Imagine if the control interface for a CNC machine tool was not a panel full of buttons, but instead a headset addressing a digital assistant able to understand a machinist’s verbal commands. Imagine if that assistant could operate all the different CNC machine tools in the shop, with various controls, in precisely this same way. And imagine if that digital assistant had ready access not only to status data at the machine, but all the information around the machine related to using it effectively, including operation and maintenance instructions as well as setup instructions for the current job, making any of this information available at the user’s verbal request. Those are the promises of a new human-machine interface (HMI) system—called Athena—being introduced by a startup company, iT SpeeX, that brings speech-recognition technology to machine tools. The product will be publicly debuted at the International Manufacturing Technology Show (IMTS). I got to see an early demonstration and to experiment with the system myself. What I discovered is that, much like the smartphone in my pocket, the potential transformational power of the device is hard to appreciate except by direct experience. My phone does nothing I couldn’t already do in some other way. Yet it changed my life because of all the tasks it has made much easier. Athena offers much the same promise. 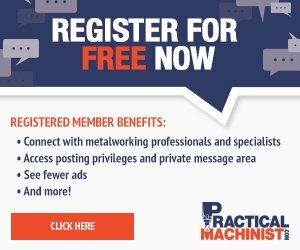 We do not fully appreciate how much of the information a machine tool operator might need is located in different places, and therefore how difficult or time consuming it is to access and employ that information. Commanding the machine verbally, along with obtaining accurate information about the machine, tool or job as needed, essentially just by asking into the air, promises to allow skilled operators to work far more accurately and effectively than is practical for them to do today. We also do not fully appreciate how much inefficiency comes from operators possessing different levels of proficiency with different control models in the same shop. Athena takes that difficulty away because its developers have engineered it to work the same way with a variety of brands and models of machine tool controls. The system consists of a headset with shop-noise-cancelling features and software running on a shop-hardened notebook PC. The operator uses the headset’s microphone to give commands and ask questions—virtually any command it might be reasonable to issue to the CNC and virtually any question relevant to the machine or job. Meanwhile, queries might include, “Athena, show the alarm history,” “Athena, show me how to set up for part-program number 408” or “Athena, how do I change the air filter?” As these queries indicate, the development of this technology has involved more than speech recognition. It has also involved algorithms for searching machine manuals and shop documentation accurately to serve up the expected answers to human questions. Today, one Athena headset and PC controls one machine tool. This is the model by which the technology will be field tested and refined, starting with beta users yet this year, the company says. But the planned next step will be wireless connectivity suitable for the shop floor, allowing one operator wearing one headset to engage with many machines. The ultimate objective is many headsets for the many different roles within the shop, with various employees possessing different levels of access to command or query machines depending on their different roles. iT SpeeX is a Mason, Ohio-headquartered business launched in 2016 that arrived at a working version of the current technology in January. The technology is in large part a result of the collision of interests of company founder Dan Bagley. A long-time veteran of the machine tool industry, most recently serving as strategist for the National Tooling and Machining Association, Mr. Bagley is also on the board of a speech technology company, Cepstral. The latter role brought him in contact with Jeff Adams, project leader involved in developing Amazon’s Alexa, who joined Mr. Bagley in the effort to develop an interactive voice-command HMI for manufacturing equipment—one that is independent of machine tool brand. Mr. Bagley says, “Shops want to use their machines simply, so more people can cross-train across brands, controls and features. And they want more information—faster information for setups combined with less mystery in the machine features. Think about antilock brakes. No one knows they’re interacting with a sophisticated system governing their braking, but they use it routinely. Rate and power of braking are determined by intelligence operating in the system, and you never read a PDF or punch keys to activate or inform it.” This is the ultimate aim of Athena, he says. Voice recognition is the means of interaction, but the full promise is effective machine operation without any special expert knowledge of the particular machine. An early proponent of the technology is machine tool builder Makino. Company CEO Don Lane says it fits his company’s culture of customer enablement. “We believe it can help every customer operate even better,” he says. Makino will demonstrate the technology in its booth at IMTS, allowing booth visitors to experiment with the interface, while iT SpeeX also offers a demo in the show’s Emerging Technology Center for Digital Transformatiom. Makino’s Mark Waymouth, who serves as the company’s project manager championing Athena, picks up on the analogy of the smartphone, noting, “I didn’t use my phone’s GPS on local drives until it began drawing in traffic information, but now that it does, I rely on GPS all the time.” In the same way, the possibilities of Athena will continue to advance as the ease of access to information increasingly allows that information to be drawn together. Just like with smartphones, greater value for Athena will be found as new uses are developed for it, perhaps through users realizing possibilities its inventors have not seen. For example, what might come when enterprise resource planning (ERP) data become readily and intuitively available through Athena alongside all the machine and job information? I said “intuitively.” That point, the different feel of controlling a machine tool with this interface, is another important aspect of this system. Indeed, it is a vital aspect, yet one that is hard to appreciate without experiencing the system. After about 15 minutes of using it, I started to learn; I became acclimated to this feeling. I settled into the relaxed tone of voice to which the voice recognition best responds, and suddenly the machine and the interface were obeying me. The machine simply did what I wanted it to do, and Athena told me or showed me what I wanted to know. That was a markedly different experience from hunting for buttons on the CNC panel to take these steps. Is there a future in which control of machining equipment routinely looks like this? Voice interaction enables an interface that promises not only control of any CNC machine in the shop, but also easy access to information useful on the shop floor. This photo courtesy of Makino, an early proponent of the technology. Tom Kuhnell, director of machine technology with iT SpeeX, demonstrates Athena by using it to operate the machining center beside him. The system understands verbal commands and repeats back for confirmation any commands that would produce a machine move. The system serves up answers to spoken questions using algorithms that match questions to relevant data in machining-related documents. Here the answer to a spoken question was found in a setup document. And here the answer to a question was found in the machine’s manual. One of the more interesting experiences of trying Athena myself was noting just how the feel of operating a machine tool changes. It is not hard to imagine how this mode of control could become accepted and comfortable.